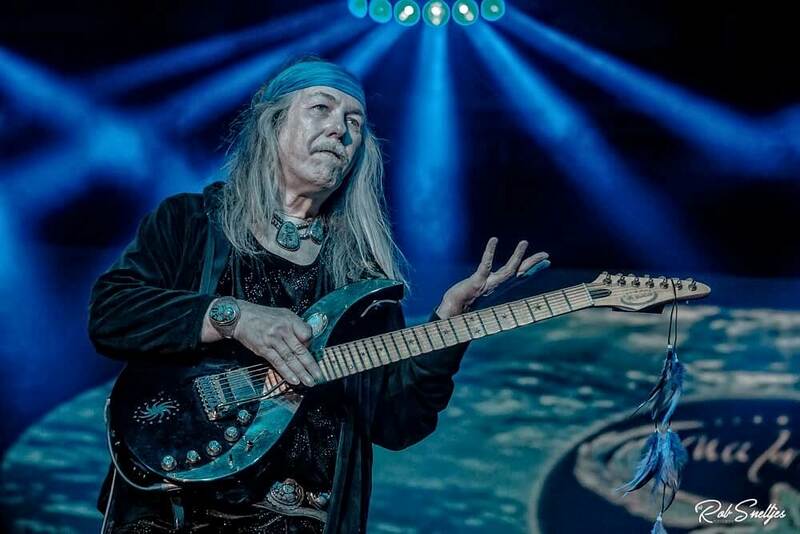 Uli Jon Roth started the night. 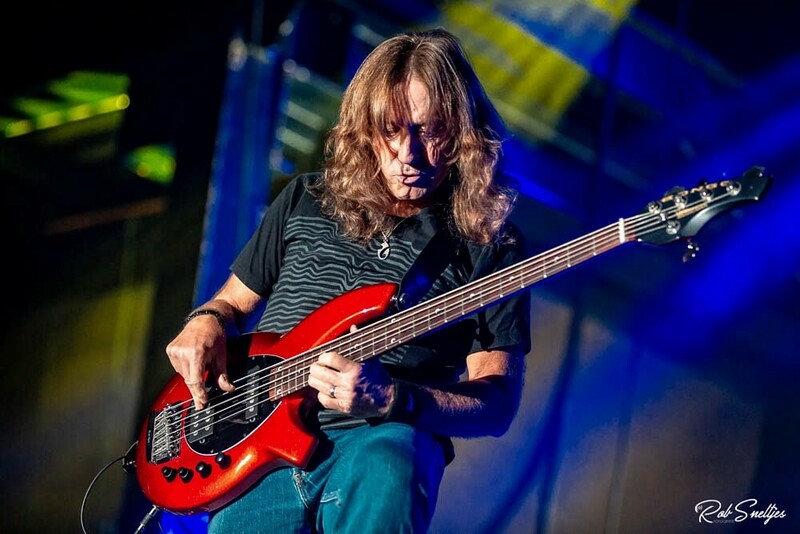 This German playing guitarist who used to play with the Scorpions (1973-1978) is a descent player who doesn’t show off a lot. Welcoming the crowd speaking Dutch, won sympathy from the crowd: ‘Goedenavond Nederland’! He knows how to balance his guitar moments, so the band could show their skills too. His bands consists of 6 members from which three guitar players. 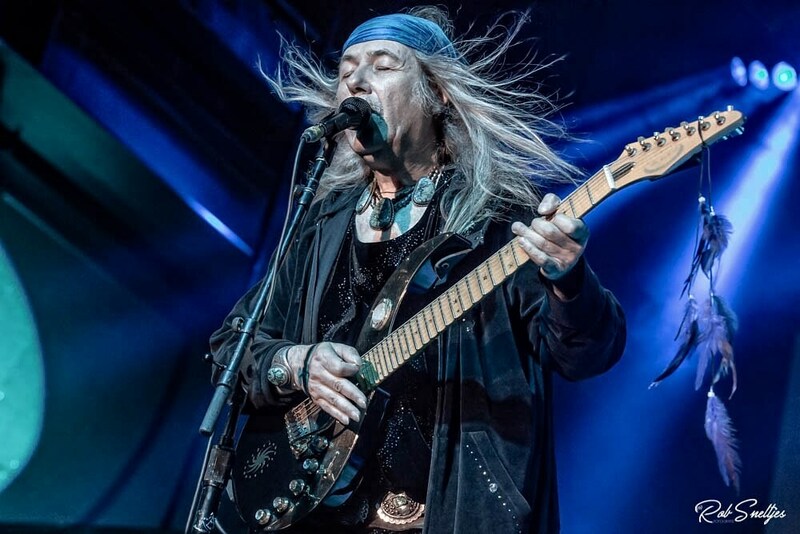 Uli is more of the ‘quiet’ type of guy. 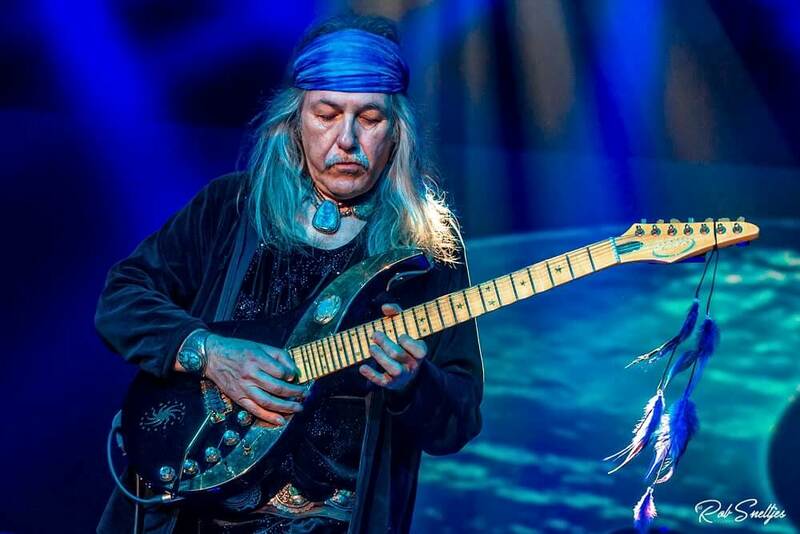 He wears extraordinary clothing and his guitar is covered in feathers which made the ‘hippy’- type of look complete. Roth was a good starter since his music is slower and psychedelic oriented in competence to the other two players. 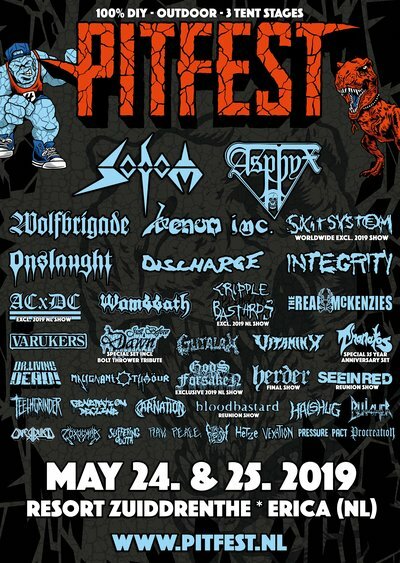 His set consists of a lot of Scorpions covers like ‘We’ll Burn the Sky’ and ‘The Sails of Charon’. The crowd wasn’t really loud and wild about those once. Also he dedicated the song ‘We’ll Burn the Sky’ to his brother Zono Roth, who passed away recently. The choice he made fits his style: it’s psychedelic, random and the guitar riffs were improvised. Which doesn’t mean the sound was great. The guitar made this ‘crying’ sounds, more than once. He allowed himself to made some mistakes. The crowd wasn’t impressed that much by this performance, which is slightly pity. 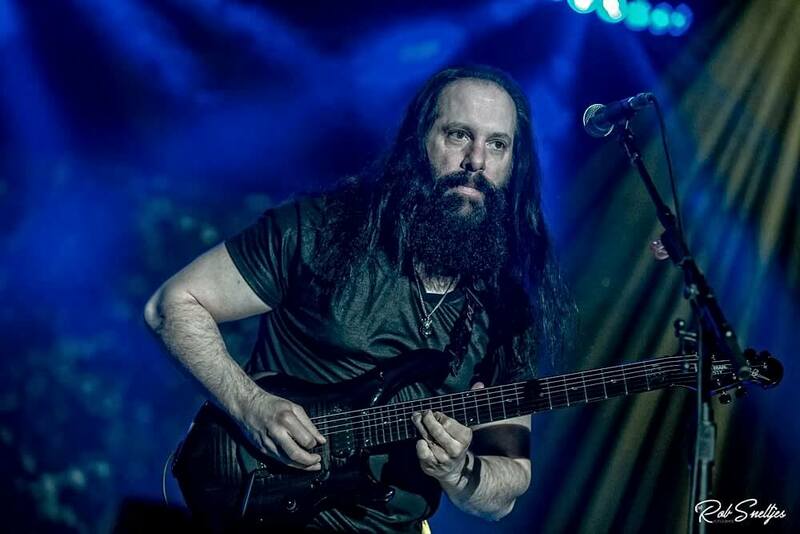 Next on stage is John Petrucci, guitar player of the progressive metal band Dream Theater. The lights go down and the first notes vibrated though the area. He performed his classic songs such as ‘Wrath of the Amazons’ and ‘Jaws of Life’. He brought his long time friend and also the drummer of Dream Theather: Mike Mangini. His performance was on point since people were craving for metal. Metal is what they got during this hour! John welcomed the crowd and said: ‘It is time to bring a little bit of metal this evening!’. 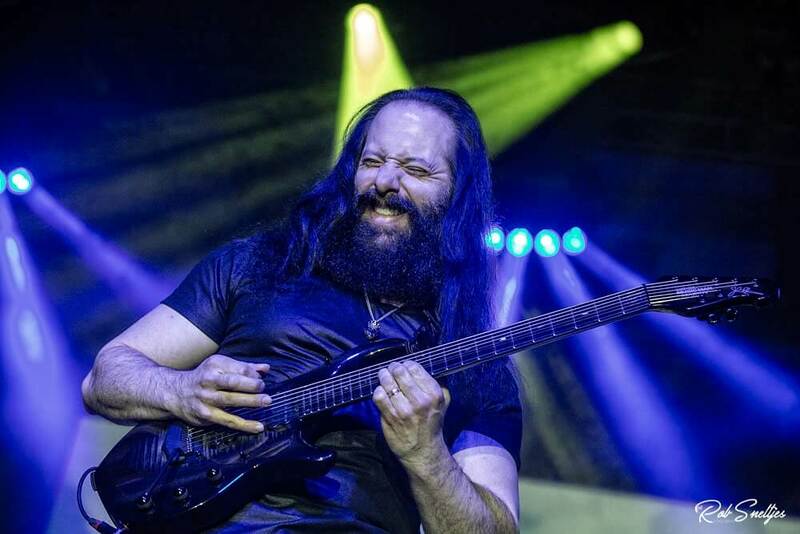 Petrucci is a phenomenal guitar player. He makes playing guitar looks so easy. His set was a perfect mix between metal, progressive rock and a little bit of punk rock. His song ‘The Happy Song’ definitely made people smile. This piece of art was a perfect switch for a dynamic set. Since he started the G3 tours in 1996, he never disappointed anyone! 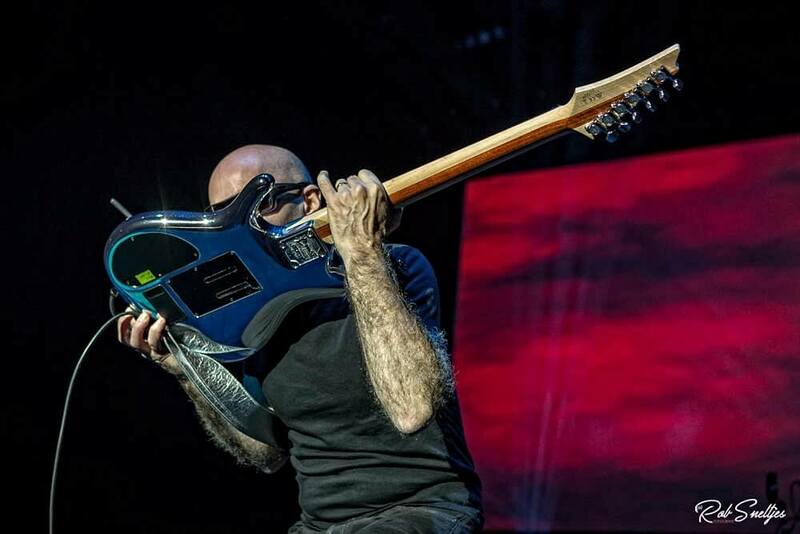 The sold out arenas never lied about his skills: the master of guitar is very much loved. Joe Satriani, the man himself, walked on stage. Even thought his age, he is full of energy. He was welcomed with a round of applause. Starting off the set with energy he played with a lot of excitement moving from side to side of the stage. The chrome colored guitar stole the show, what a master he is! 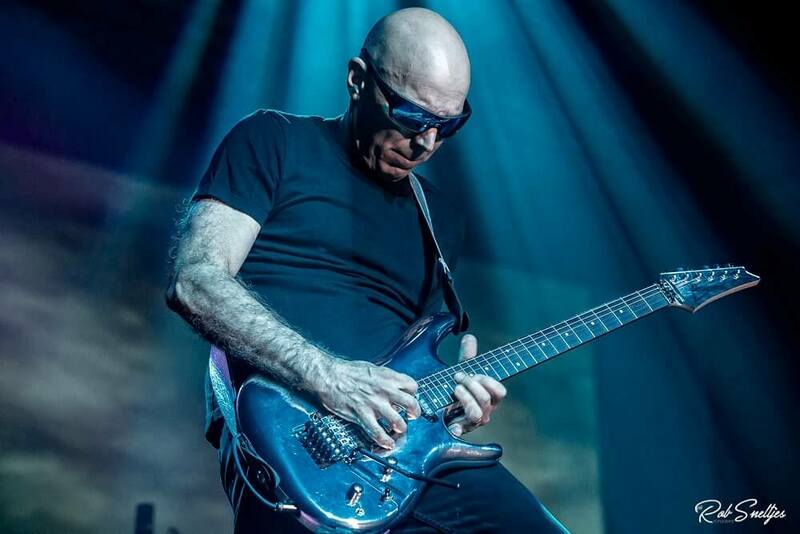 Satriani’s music can be described as: pure, straight away, fast and full of power. The man himself loves to play with his crowd and the people love how he interacts with his admirers. His famous songs like ‘Satch Boogie’and ‘Always With Me, Always With You’ were played perfectly. 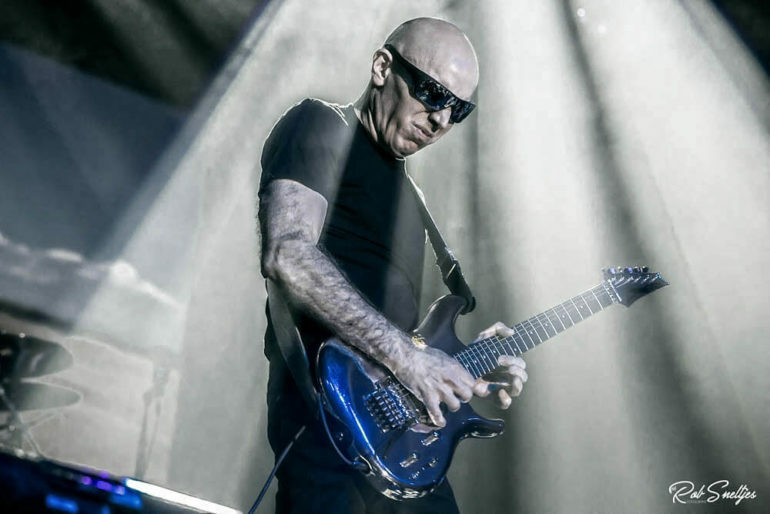 Satriani made his guitar moan and scream, and the audience went crazy. A little show off there: he licked his guitar and even that moment sounded great. 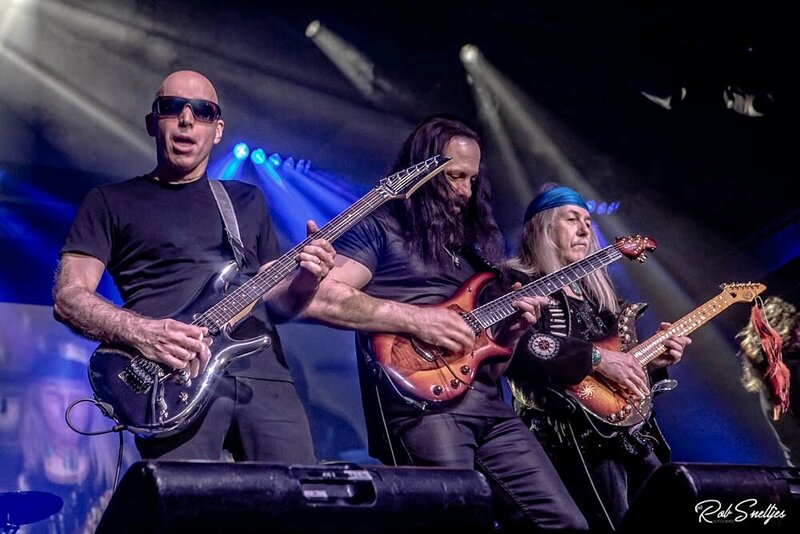 After Satriani’s set, John Petrucci and Uli Jon Roth joined him on the stage and jammed together. The three played “Highway Star” by Deep Purple, “Superstition” by Stevie Wonder and “Going Down” by The Alabama State Troupers. This cherry topped off the pie: Eindhoven really changed into Eindhoven Rockcity! The evening was great and the crowd enthusiastic. The real guitar fans had the time of their lives. Three guitarist, each of them with their own style. I haven’t seen a G3 tour before so this unique set was a real experience for me. Say hello to Kelly! 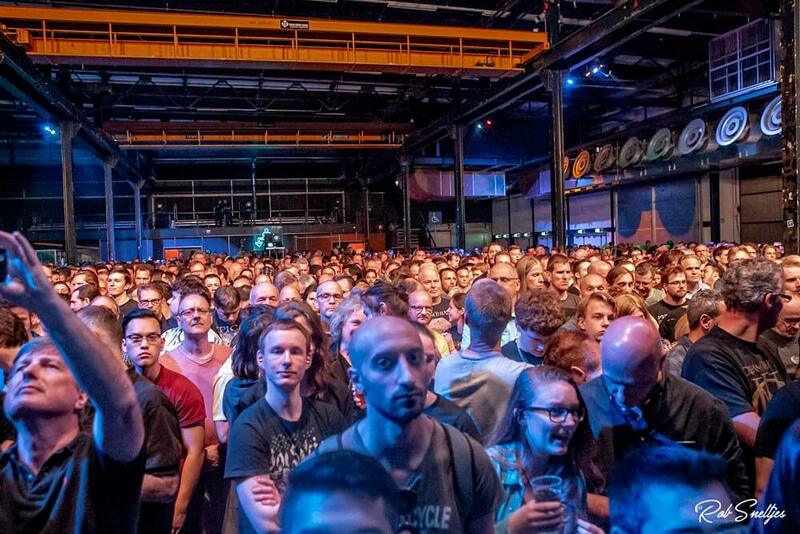 She is a concert/festival reporter for PitKings all across the Netherlands.